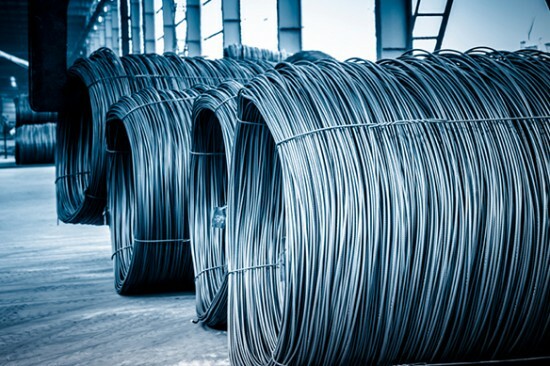 Despite falling raw material costs, figures posted by U.S. Steel underline the damage imports are having on the US steel industry. The WSJ reported U.S. Steel posted a 34% decline in revenue and a $261 million loss in the latest quarter, up from a $18 million loss for the same time last year. Steel prices have continued to fall, just as my colleague Lisa Reisman has been predicting for the last year. As demand has suffered, cutbacks in the energy sector, particularly for drill pipe, and imports have risen with a stronger dollar and growing surplus in the global steel market. Capacity utilization in the US market is down to 72.5% according to the American Iron and Steel Institute, a sharp fall from the same period last year, with even that number looking optimistic compared to reports in Bloomberg which suggest it could now be below 70%. Expect shipments of steel into the US to stay high so long as the dollar retains its strength against other currencies. As Bloomberg reported last week, the amount of imported steel used in the US market has swelled from 28 to 33% since last year as the economies of major producing countries like China, Russia and Brazil have slowed and producers have sought more exports. Nucor Corp., the US’s largest and most efficient producer, warned as far back as March that its first quarter profit would be as much as 71% lower due to the exceptionally high levels of imports flooding into the market. It’s not that overall steel demand in the US is depressed, demand grew 13% in 2014 to 118 million tons, although the cutbacks in shale oil and gas drilling in 2015 will have hit those with a specialty in oil country goods this year. Steel producers gross revenues are down as much due to falling prices, HRC has fallen 25% in the last twelve months to around $476 per ton today. The US market is all the more vulnerable because of its standout strength in demand while other markets have waned. China is down for the first time since the ’80s and weaker currencies in Russia, Ukraine and Brazil have allowed steel producers in those locations to compete against US steel producers burdened by a stronger dollar. Even Europe, where demand has turned a corner and is picking up this year, the weak Euro has allowed steel producers there to compete in the US and take some market share. US Steel producers are lobbying government to mitigate the rise in imports as most observers expect the dollar to get stronger over the next 12 months as the Federal Reserve raises rates ahead of the rest of the world. Currency will remain a challenge for domestic steel producers as will the number and diversity of suppliers seeking to sell into the domestic market.